“A technical product is only perfect when it’s aesthetically perfect too.” This philosophy comes from Ettore Bugatti – and we are so committed to upholding it that we have added an extra dimension: the Bugatti service for our customers, who regard the best as only just good enough. Every Bugatti is unique. They are as unique as each of our international customers with extraordinary personalities with superlative standards. Owning a Bugatti is a great responsibility – and we feel the same responsibility towards our customers too. After all, striving for automotive perfection also includes perfect service. Examples of this include the custom car features and professional, dedicated consultation provided by the Bugatti design department. Our “flying doctors” will travel anywhere in the world to carry out a service, maintenance or repairs on a Bugatti. We offer exclusive tour and racetrack events that offer our customers a unique experience. Because if it’s not perfect, it can’t be Bugatti. Choosing a Bugatti is about more than choosing a supercar – it’s an expression of your outlook on life. As well as a unique product, customers can expect unique service that is individually tailored to their personal requirements. Bugatti’s flying doctors programme is comparable to the concierge service at a six-star hotel. 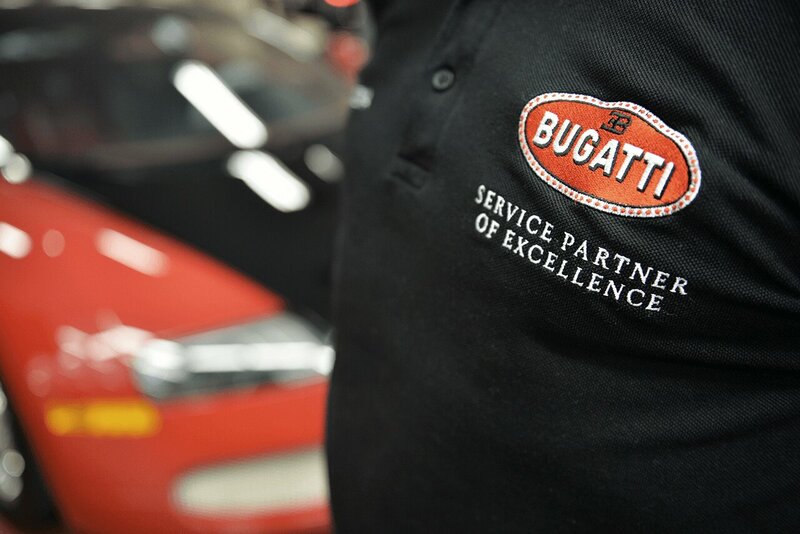 Bugatti’s flying doctors are experienced, highly qualified engineers and technicians, who work with their teams to look after customer cars in their designated region. Customers can contact them 24/7 for an immediate response to their requests and questions. They are assisted in their work by a unique system that no other company in the world uses for the servicing of its cars – telemetrics. Telemetrics allows the flying doctors to monitor and analyse the technical condition of any Veyron, no matter where it is in the world, directly from the service centre in Molsheim. All cars regularly transmit a defined dataset to Molsheim when they are in use. In case of irregularities, the flying doctor can respond immediately and inform the customer before they notice a thing. For example, if the battery voltage is dropping or the pressure in a tyre is no longer within the normal range. The flying doctor will either resolve technical issues from Molsheim or arrange for the customer’s local Bugatti service partner to inspect the car. They will often fly directly to the customer’s home. Customers, who have to give their consent to the use of telemetrics upon purchasing their Bugatti, absolutely love this unique, comprehensive service, as they know it ensures they are in safe hands wherever they are in the world. The relationship between the flying doctor and the owner of a Veyron starts from the moment the car is handed over, and continues throughout the entire ownership period. It is often a life-long bond that in many cases goes beyond regular service appointments. Quite simply: unique service for unique customers. In line with Ettore Bugatti’s motto, “Nothing is too expensive, nothing is too beautiful”, Bugatti strives to continue his legacy by working with each customer to develop a car that matches both the brand’s legend and the customer’s personality. Ettore Bugatti always saw his cars as works of art, and so the Bugatti design team regard it as their duty to ensure that every car handed over to customers from the Studio in Molsheim, Alsace is a unique, individual masterpiece: a work of art that lives up to the exacting standards of its owner’s personality, culture and vision and the high requirements of Bugatti quality control. And, last but not least, embodies Bugatti’s brand values of “art, form and technique” in every last detail. Two things are extremely important to our customers: knowing that they own the fastest production sports car in the world, and having a car that’s utterly exclusive. That’s why individualisation and customisation play such a big role at Bugatti. 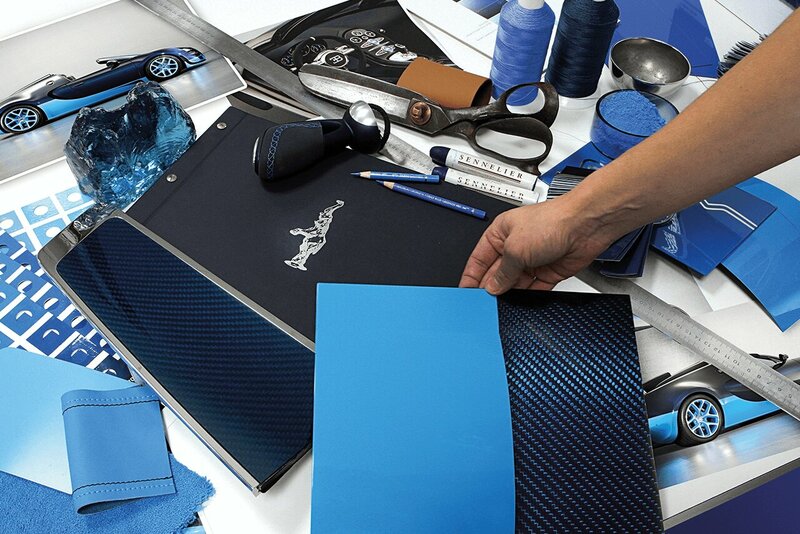 The Bugatti colour, finish and materials team are passionate about exclusive materials, colours and perfect design concepts, and this passion leads them to keep creating truly unique cars for customers. The sculptural shape of the car, tinted and clear-coated visible carbon, aluminium components milled from solid metal, magnesium, titanium, hand-picked leather of the finest quality and, last but not least, an unlimited selection of colour and material combinations provide the ingredients for the design team’s concepts. This allows them to make every single Bugatti into the most exclusive and expensive production car in the world. This is accompanied by a wide range of luxurious materials that have rarely been used in the automotive industry before. For example, porcelain, special varieties of leather and wood, gold, bronze and platinum, have been used, adding exclusive highlights to the design of each car. On request, individual engravings, embroidery or inlaid signets can be added to the car as a personalised finishing touch. Each personally configured Bugatti is utterly unique – the product of a close collaboration between the design team and the customer. The process can take several months. This focus on customers and their wishes is the brand’s core area of expertise. The events that Bugatti organises for its customers are as unique and exclusive as Bugatti supercars themselves. Participants at the Feeling the Road, Track Day and Grand Tour events are guaranteed an unforgettable experience. They are also an opportunity for customers to experience the brand first-hand and spend time with other members of the Bugatti family – both owners and brand representatives. Feeling the Road – a driver training course developed by Bugatti – gives Veyron owners the opportunity to spend two days really getting to know their supercar. Under the guidance of Pierre-Henri Raphanel, Bugatti’s official test pilot who in 2010 set the world speed record (431.072 km/h) for production cars in a Bugatti Veyron 16.4 Super Sport, participants take their Veyron through every conceivable situation they could encounter on public roads, and also complete safety training on an exclusive track. Feeling the Road is the best way to discover the Veyron’s full potential and wide range of driving characteristics. The Bugatti Track Day is perfect for anyone who loves driving on a racetrack. Bugatti regularly invites customers and guests to the famous Paul Ricard racetrack in Le Castellet in southern France, where they can experience the acceleration and braking power of a Bugatti – utterly thrilling and completely undisturbed. The programme is supplemented by a drive on the beautiful winding roads of Provence, where participants can discover how straightforward and dynamic the supercar is to drive even when off the racetrack. Every year, the Grand Tour visits a new destination in one of the world’s most beautiful regions. This unique multiday event is organised by Bugatti. In a relaxed atmosphere, customers have the opportunity to travel dream routes in their cars and enjoy incredible hotels. 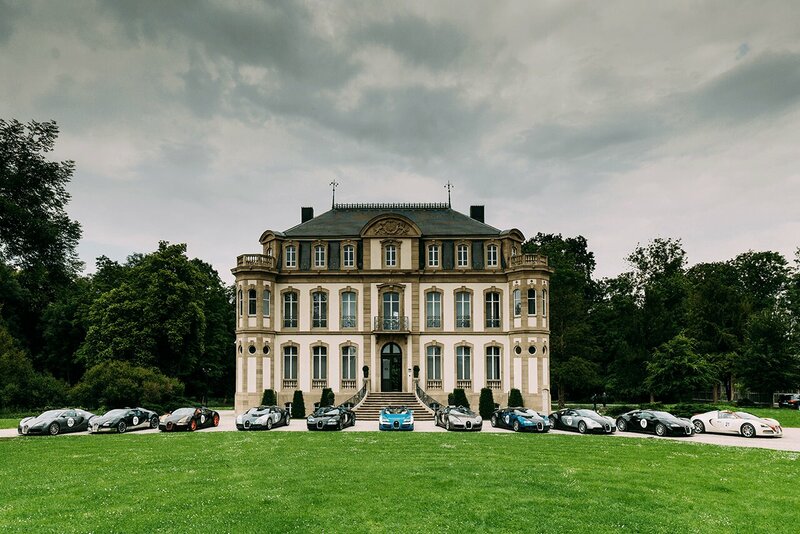 Anyone lucky enough to encounter the Grand Tour on the roads will be absolutely amazed at the sight of up to ten Veyron supercars at once – an extraordinary moment that many people will never forget.